He failed to find love on not one, not two, but three seasons of Bachelor-related shows, and now he's back at it again. 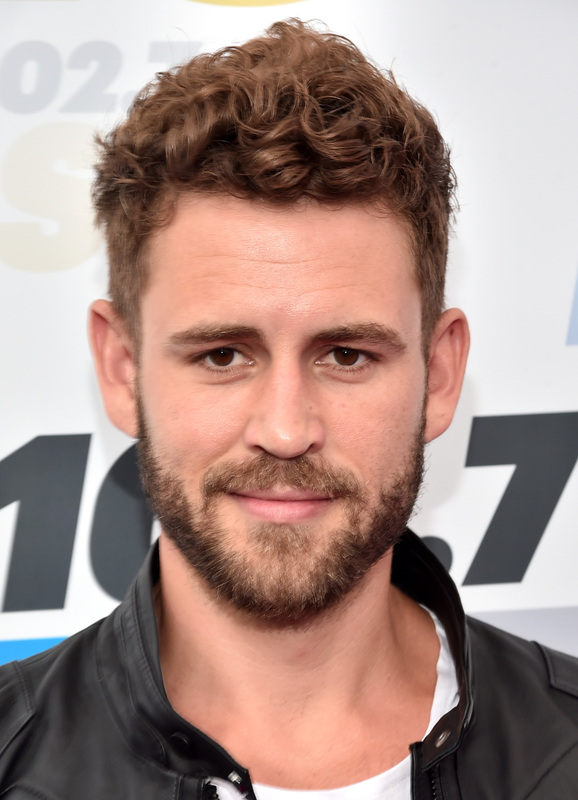 Meet the newest, and definitely most surprising, Bachelor: Nick Viall. Although Viall definitely stands as one of the most well-known Bachelors of all time (considering he's been on so many of these shows), there are still a lot of things that you might not have known about Viall. It all started for Viall in 2014, when he appeared on Andi Dorfman’s season of The Bachelorette . He was gifted the first impression rose, but, ultimately, he lost his spot as Dorfman’s number one guy to Josh Murray. Later, he called out his ex Dorfman on The Bachelor's After the Rose special with this inquiry: "If you weren’t in love with me… I’m just not sure why you made love with me." Dorfman, understandably, was not pleased. But, not one to be written off as the runner-up who may or may not have shamed Dorfman (I'll let you decide), he appeared on Kaitlyn Bristowe's season of The Bachelorette in an effort to be remembered as the runner-up who definitely did not shame Bristowe. Viall is 35 years old, which is significantly older than the large majority of both the leads and contestants in the franchise usually are. For instance, the last Bachelor, Ben Higgins, was 26. Chris Soules was 33, Juan Pablo Galavis was 32, and both Ben Flajnik and Sean Lowe were 28. In other words, average age of the Bachelor lead is somewhere around 31. In fact, there have only ever been two Bachelors older than Viall: Brad Womack, who appeared on his second season at the age of 38, and Byron Velvick, who was 40 when Season 6 was shot. If Viall looks athletic, that's because he is: The newest lead used to run track and field at his Milwaukee high school, according to the Tap Milwaukee Journal. According to his LinkedIn (yes, I did look that up), Viall graduated from the University of Wisconsin in 2004 with a degree in business. After graduating, he worked at the CRM software company, Salesforce. During one scroll through any of Viall's social media accounts, and you'll find endless images of him with past Bachelor and Bachelorette contestants and leads. Additionally, it seems Viall is still close with all his fellow Bachelor in Paradise homies, and everyone from his two seasons of The Bachelorette. One of my favorite friendships this franchise spawned, in fact, is the one between Viall and voice of reason Sharleen Joynt. Viall is represented by Wilhemina International, a world renowned modeling agency. While backstage during a recent appearance on Good Morning America, Viall participated in a lightning round of questions, titled "In The Nick of Time." During the fast Q&A, he divulged a talent of his: Though he doesn't drink a lot of beer, he can put one down really fast. He also confirmed on GMA that his alcoholic beverage of choice is whiskey on the rocks. Though Viall just finished Stranger Things, he confessed on GMA that he doesn't watch a lot of TV. Whether or not this includes not watching anything Bachelor-related is unclear. Also revealed on GMA . And why not? It's a necessary staple. In 2015, he dressed up as The Joker. Specifically, Jared Leto's Joker from Suicide Squad. Ah, the infamous airplane video where Viall was "caught" spoiling the end of Dorfman's season... all while eating his (presumably) fave snack: Cheetos. Though one might argue that Bachelor nation knows Viall too well, I disagree. Here's to finding out even more during his upcoming season.